A volcano spewing clouds of ash has plunged the Indonesian island of Bali into crisis. Bali, which welcomed almost 5 million foreign visitors last year, is struggling to deal with the chaos wrought by Mount Agung in recent days. Airlines were issued a red warning about volcanic ash in Bali, Indonesia, on November 26, as Mount Agung continued to emit a plume of smoke and ash into the sky, local media reported. Mt. Agung volcano erupted a second time in a week on Saturday afternoon, prompting many airlines to cancel or divert their flights later that night, ABC reported. This footage was filmed around 6 AM on November 26. The first part of the video shows drone footage of the volcano spewing ash, while at 0:54, a time lapse of the volcano can be seen. 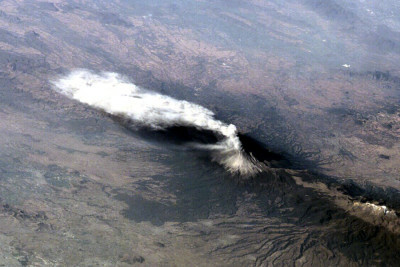 The final part of the footage, seen from 1:16 in the video, shows the sun rising as the ash and smoke rise from the volcano.